No wonder neuroscientists say that tinkering is like cross-training for the brain! It keeps us flexible and agile while allowing space for new possibilities. Necessity is the mother of invention, and I need to do some inventing. For seven weeks at the beginning of 2019, our family went to Southeast Asia. It was an unforgettable experience. We saw elephants (at a sanctuary), hiked all over, ate amazing vegan food, had free time together, and swam in the ocean. Part of the ocean experience was incredible. Some of the areas we visited broke my heart. Both the beaches and the water were FILLED with trash. Even though they were cleaned every morning, by the afternoon, the tide would bring in more garbage. Every day. Most of the litter was comprised of single-use plastic. Seeing that with my own eyes has changed me. It's brought me back to my younger self, who used her time differently (making almost everything from scratch). It's changed how I view the world. Plastic never goes away. Every bit of plastic that has ever been made still exists on the planet. Recycling isn't the solution we've been told it is. And it's changed how I shop. We need to stem plastic at its source. So now, I look not only at the ingredients of what I'm buying, but also the packaging. Whenever possible, I opt for items in glass or paper. I'm even more careful about the bags I use. I'm looking around at all the plastic throughout our home: in the kitchen, in the bathroom, in our home office. There's plastic everywhere! 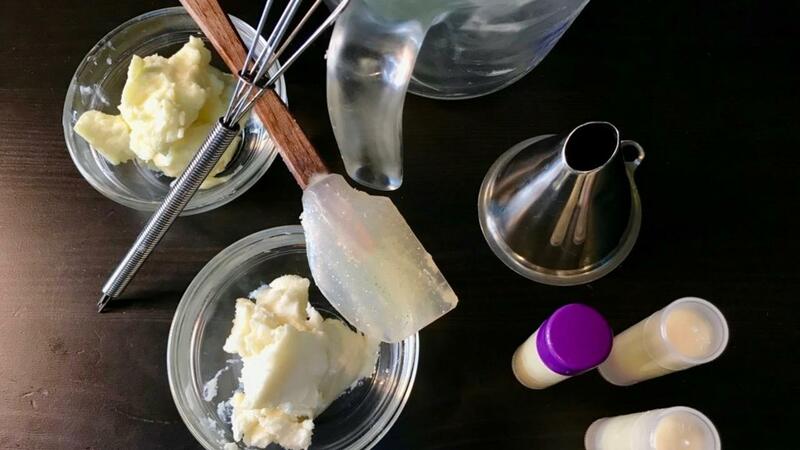 Throughout the past decades, I've toyed with making my own body care products. Most of my experiments have been utter failures made with expensive, wasted ingredients. Being a vegan chef for 22+ years, I've had my share of kitchen research. My expertise is with food though, so body care products is a whole new world. I have similar ingredient requirements though, so I've taken time to gather a few organic basics like carrier oils, butters, and essential oils. This morning, I made lip balm and two rich moisturizers that may actually work out! I won't know until I've used them for a few days. Taking the time to dally and test out something new is fun for me and especially exciting when the results are so promising. Is there something new you could have fun experimenting with? Do it and create more joy in your life!